Trends in Lighting (TiL 2017) – the Smart Lighting Forum & Show announces that for their inaugural year, the 2,000 visitors will be joined by leading light experts. TiL 2017 is set to be a truly immersive experience and one that will help to close the gap between application, design and technology. Here’s a brief capture of what we may expect from the event coming September. This event has been designed to focus on, and to debate, all the big questions and best practice surrounding Human Centric Lighting, Connected Lighting, Smart Lighting, Internet of Things and Light-as-a-Service. Tailored for a delegation of architects, lighting consultants, lighting manufactures, electrical consultants and lighting designers. Human Centric: Delivering his keynote session on day 1 is the multi award winning, NASA partner, and ‘Sustainability Hero of the Year 2016’, Fred Maxik. His impressive career, spanning over 25 years, has led to over one hundred patents and also to creating products to help champion human health and agriculture productivity, in space. He will take the crowd on a journey into the “Transition of Illumination – Light Centric Humans”. Cyber Security: Cyber Security can be experienced in a very special live demonstration. The future of the new connected world is an exciting one, but it is also a venerable time for those developing connected systems, due to the threat of hackers. “Lighting Up the Dark Corners of the Internet of Things” is a live IoT hacking demonstration, from Pen Test Partners, that will teach the TiL crowd how to get safety into their IoT lighting systems. TiL Awards: The very best system, design, solution or service at TiL 2017, one that demonstrates uniqueness, sustainability and the highest-quality in the field of Solid State Lighting, will be honored with the first ever TiL Award. Immerse Yourself: The show will allow visitors to experience light like never before. The TiL 2017 showcase will include Amazon echo in the Experience Lab; APIL realized light projects; energy-saving and intelligent lighting controllers, innovative lighting assembly; colored and intelligently controlled floor plates and ‘Internet of Lighting’ products. Also joining the showcase at TiL is the innovative and must-experience product from Prof. Paolo Di Trapani of CoeLux, the “Artificial Sky”, that lets you experience the sun and the moon, while indoors. In the workshops, there will be the chance to get hands-on and to explore light, and its possibilities in a series of detailed and informative workshops delivered and lead by such internationally renowned organizations as EPIC, Photonics21 and Bluetooth SIG. They will cover a range of subjects including miniaturization, LiFi, and the potential of Bluetooth and IoT. One highlight from the series of workshops will be a session focusing on perception psychology and the effects of light on human’s performance, emotionality and physiology, given by international light designers Bartenbach. Trends in Lighting 2017 is an immersive, international event designed for those at the forefront of lighting. TiL 2017 addresses the big questions being asked in modern light design and technologies. The decision to launch this novel event in 2017 was taken because the organizers believe the possibilities of light have reached a zenith. The users of light, the designers, the architects, the manufactures and the consultants have almost limitless possibilities when working with light due the power of modern technology. 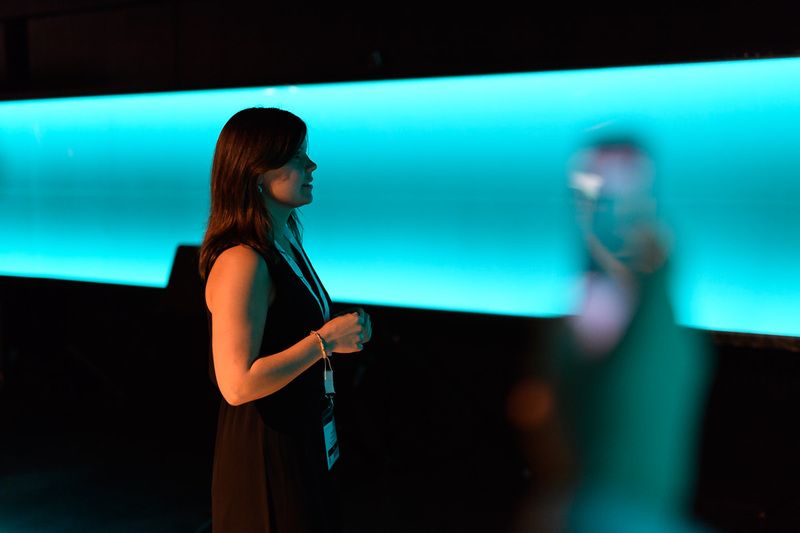 Every attendee should have an immersive experience into light, and people should recognise the potential of light. They need to explore light as a ‘tool’ to contribute to sustainability and well-being, now and for the future!